Tamarind is a sour tropical fruit frequently used in Southeast Asian cooking. When made into a paste (available in Asian markets), it’s an outstanding addition to margaritas. 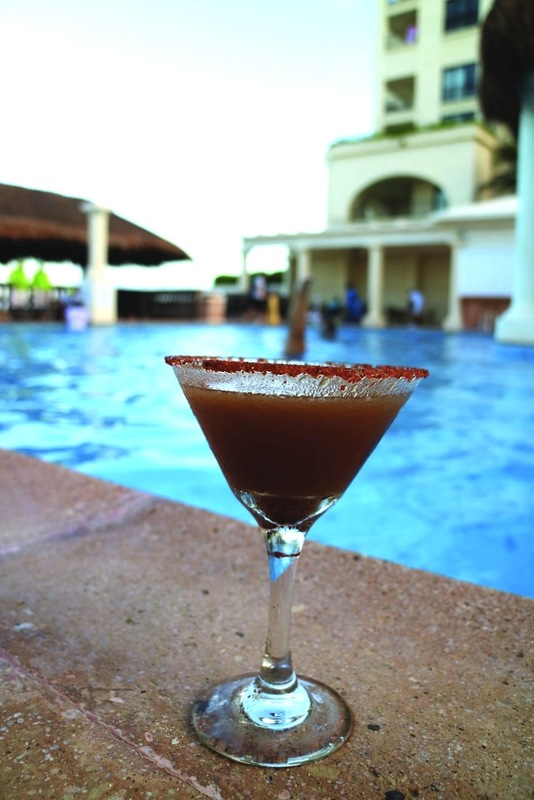 We came upon this cocktail that proved the point at the Marriott Cancun Resort and developed a crush on it. Try it and see if you feel the same. In a saucepan over low heat, simmer the tamarind, 3 tablespoons water, and the sugar stirring, until the sugar dissolves. Using a fine-mesh sieve, strain the mixture into a shaker. Add 1/2 cup of the tequila and shake vigorously. Add about 1 cup ice and 1/2 cup of the lime juice, the Cointreau, the orange juice, and the remaining 1/2 cup of tequila; shake well. Pour the remaining 2 tablespoons lime juice into a small, rimmed plate. Place the chili-sugar mixture onto another small plate. Dip the rims of 4 martini glasses first in the plate of lime juice and then chili mixture. Carefully strain the margaritas into the glasses and serve.